this year i’ve asked for quite a few books (how-to-be-a-mom books) and things for our kitchen (how do i not own a hand mixer or cooling racks?). 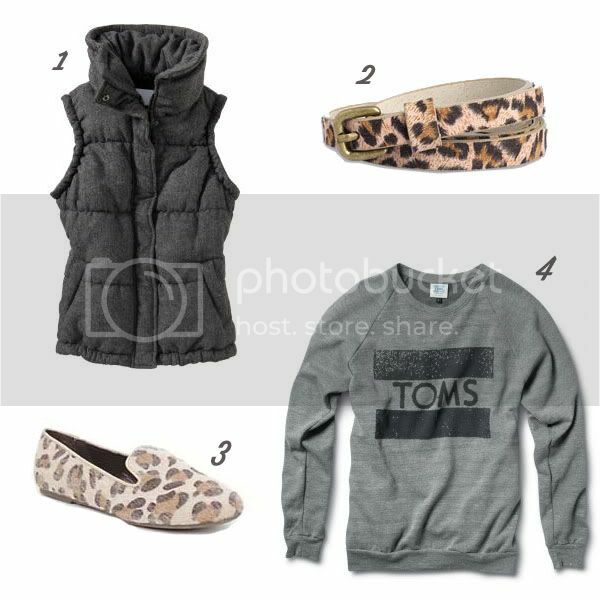 but here are a few gems i’d love for my closet. confession: i already bought this vest ($40). i searched for two months and finally found it in my size and on sale! this leopard belt is cute, but i’d rather not pay $20 for it. i’m in love with these leopard loafers ($40). this sweatshirt was on my list last year, too ($44). it has hidden pockets! 5. this dress could be easily styled as a skirt, too ($40). 6. denim jackets will never be out of style ($50). 7. yes, that is a sewing machine ($80)!